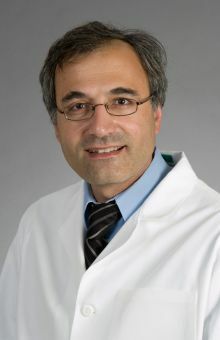 Dr. Najafian is a Renal Pathologist with diagnostic expertise in medical kidney biopsies using light, immunofluorescent and electron microscopy techniques. He specializes in diagnosing both transplant and native medical kidney diseases. Dr. Najafian’s research is focused on structural-functional relationships of kidney disease, especially in diabetic nephropathy and Fabry disease, mechanisms of podocyte injury in Fabry disease and non-invasive biomarkers of kidney injury with especial focus on podocyturia and plasma microparticles.